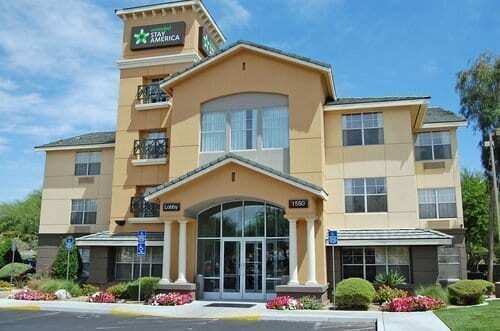 The Extended Stay America – Las Vegas – East Flamingo, 1550 East Flamingo Road, offers long-stay hotel rooms. The Extended Stay America – Las Vegas – East Flamingo, offer long-stay hotel rooms, which can also be used over shorter periods of time. This makes the hotel ideal for people who are planning an extended stay in Vegas and don’t want to have to accrue all the associated costs of eating out every day. 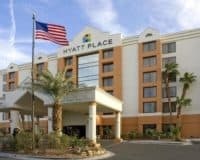 It is situated around three miles from the famous Vegas Strip, making it both accessible, yet not as loud as the very heart of town. The hotel offers a range of amenities, including free breakfast on weekdays, its own fitness center, which can be freely used by any of the guests. While WIFI can be accessed throughout the property and the housekeeping service comes around once a week. This dovetails with the friendly staff who are happy to help anyone with any problem. The rooms are of a decent size and will make you feel completely at home: offering plenty of space to work or play, depending on the reason for your trip. All of the rooms have a fully-equipped kitchen, meaning that longer stayers won’t rack up the potential costs associated with eating out in the entertainment capital of the world every single day. While the beds are comfortable, and bathrooms are clean, ensuring a good package overall. 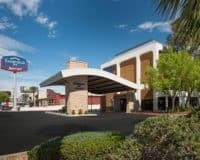 This makes the Extended Stay America Hotel – East Flamingo, the ideal place for people visiting Vegas on business, or those who need longer-term accommodation. Providing the ideal cross between a hotel and home, with the perks of the former, while still feeling like the latter.